Morels in moss beneath a dead elm. 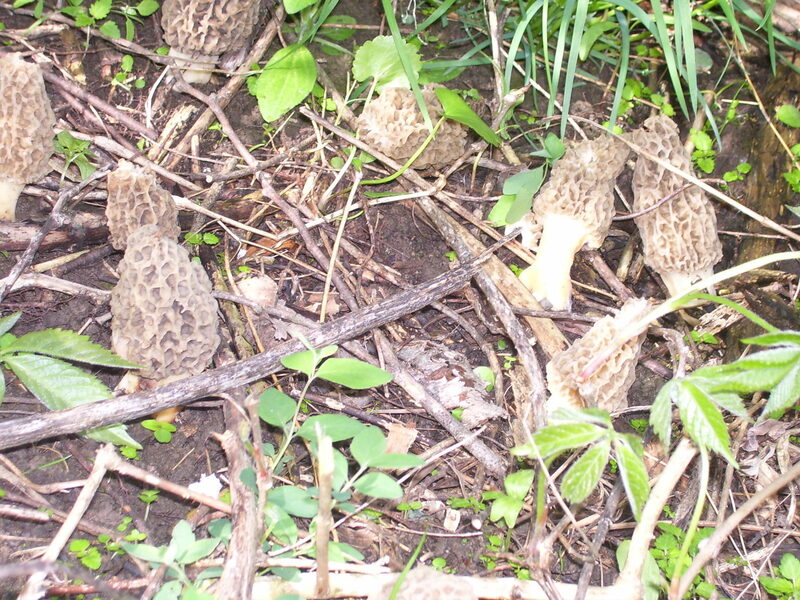 This group of morels were beneath buckbrush, nettles and Virginia creeper at the base of an elm. 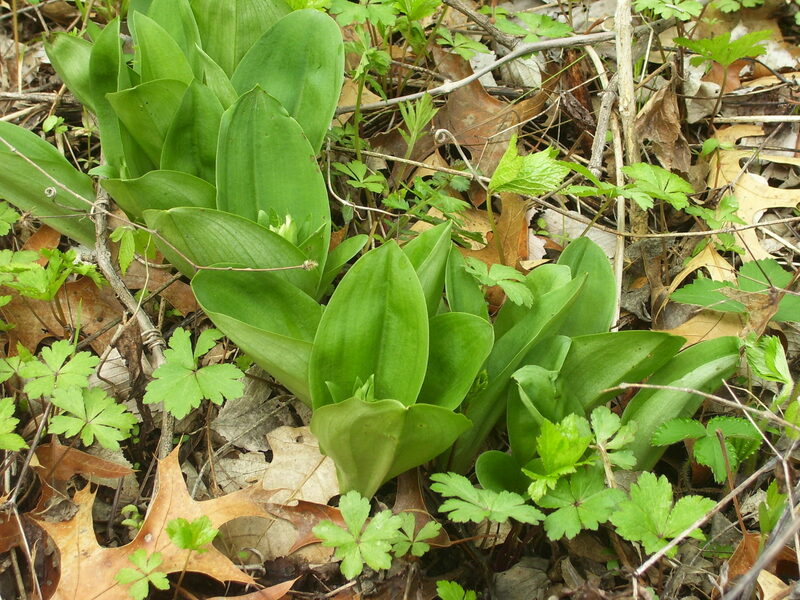 Hiding in the under brush was a clone of orchids (Orchis spectabilis), soon to bloom. Wow, thanks for posting an account from Doniphan county. Love the photos. Funny you should mention Showy Orchids. I’ll put up a post in a bit with some just about ready to flower. Anybody have a good recipe to share? 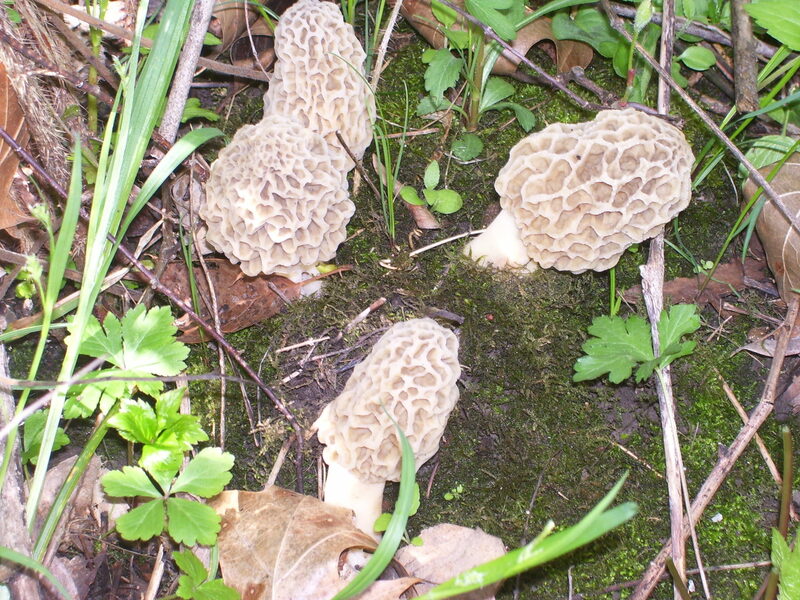 I should make it a habitat of working in Morel hunting in the spring. I just never seem to find the time. I did purchase some and fry them up for my environmental club a few years ago. 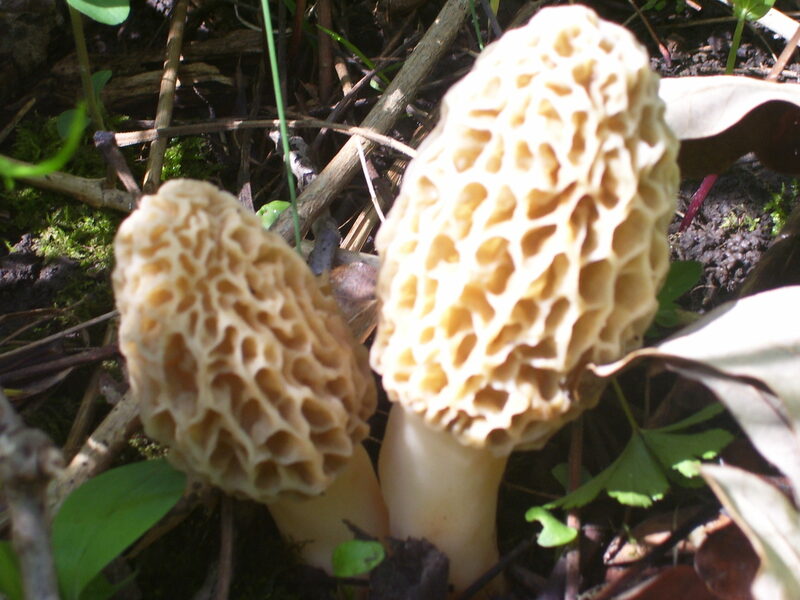 So, I challenge myself and everyone else to have a celebration of spring in our classrooms by frying up and exposing students to these wonderful tasting cousins of ours.